Continuing on with the magpie stories, I’m pleased to tell you about another interesting magpie. Please note – I am not an expert on magpies by any means. I write stories based only on my personal observations and personal experiences with the birds themselves. I really know nothing about them! Also, please note – this story has a few sections that could be upsetting for young readers. Please let your older ones read first, and decide after that if you want your littles to read it on their own. As I spent interacting time with the young maggie babies, I gradually noticed a few other birds that hung around as well. One of the first and most obvious birds was a bigger, closer to full-grown magpie bird. In fact, this adult maggie was around so much that I began to wonder if she was the momma maggie. And then I noticed that according to the coloring of its feathers, that this big bird was likely a male bird, so I wondered if he was the daddy maggie. Either which way, I initially assumed that this adult looking pie was likely a parental type to some of the many younger pies that stayed close, always warbling with their pretty songs. I had observed several of adults birds taking the time to feed their young from the treats that I provided, and I guessed this big bird was just parenting in his own style. But there was something different about this bigger bird. I knew that the younger pie babies were very cautious of him. Some were obviously scared of him. The little pies would either fly away, or stay much further away, or sit very still and fade into the background whenever the big bird swooped into the balcony area. And if the big guy wanted the snack, he got it. The younger pies clearly knew to give the older pie the right of way immediately. No questions asked. To my surprise, if any of the younger pies were a little too slow in moving out of his way, this big bully bird would charge directly at them, flap his wings fast with aggression, squawk loudly, and do whatever he needed to do to clear the others away as quickly as possible. Sometimes he flew at them like a speeding maggie torpedo. Other times he would land on the balcony and act like he completely owned the space, all puffed and fluffed with his aggressive nature. I don’t know how the little pies could hear – sense (?) – feel (?) when this big bully pie was flying into our little nibbling corner. I very often didn’t even realize the Big Boy was nearby until the groups of little ones suddenly scattered off in a big noisy flurry of flapping wings. Just by flying in my direction, Bully Bird was able to send the others packing off, practically clearing out the entire area for himself in just a matter of seconds. At first, my response was to also be immediately cautious and respectful of this incoming fast-swooping bird. I knew that magpies could be vicious with their beaks, and his size and strength and speed were not something I wanted to mess around with. I was irritated that he kept interrupting my tea parties with the young pies. I was not at all happy about his mean bully ways. You could say that I was scared of him too. I certainly was not quick to hand-feed this guy! I kept my distance and made slow gentle moves when he was near, trying to soothe the little pies, saying it would be okay, and they’d still get their treats once this Bully Bird moved on down the road. Then one day, an observation made by my friend made all the difference in the world. While Bully Bird and I were being very cautious of each other, my friend, who was watching from the side, noticed that Bully Bird had a very unusual condition. I had to move to the other side to see, but I looked closely, and then I saw it too. And what I saw changed everything for me. With a close look at Bully Bird, we could see that he had somehow, somewhere, lost one of his eyes. Mr. Bully Bird was a one-eyed pie! He couldn’t see anything on the one side of his head, nor was there any hope that he would ever be able to regain the sight on that side of his head. 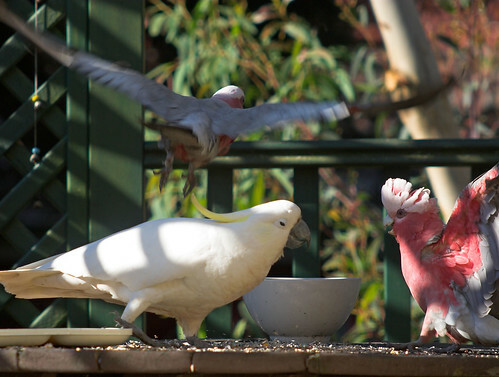 In that instant, my feelings towards Bully Bird changed completely. I realized he was struggling to survive just like the little younger pies were doing. I also realized he had a life-long disadvantage that kept him needing extra care and attention. And, I realized that he was in more danger and had more life difficulties than I had ever imagined. I changed my approach to my One-Eyed Pie (including changing the name I called him), and began to make sure that he had extra food tossed in his direction. He immediately became a priority to me, and I was quick to make sure to reward him with some treat of some kind whenever he showed up. I told the other little pies that we needed to try to become friends with One-Eyed Pie, and to help him since he had clearly had some very difficult times in his life. Gradually, One-Eyed Pie began to trust me. He let me inch closer and closer to him, and eventually, he inched closer to me as well. He began to take his treats from my hand. He was certainly more cautious about this process than most of the other pies. While trying to decide if he could trust me, he had to also keep turning his head all around to look around to make sure no one else was going to swoop on him. 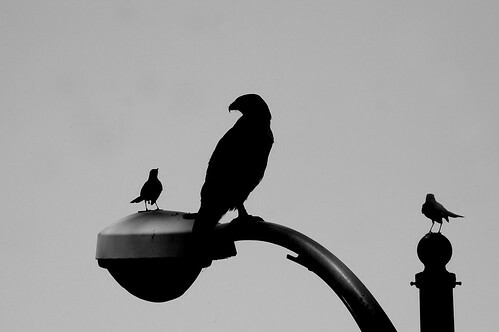 The local groups of aggressive crows were notorious for taking food from the magpies, and the crows were easily double in size of even the largest of pies. One-Eyed Pie was smart to be careful. To look at me, and to look at the food I was offering him meant that he couldn’t be looking out in the world to protect himself from other predators. He was taking a big risk just to get close to me. Once I was able to stand close to One-Eyed Pie, I realized that he had survived more than his painful eye injury. He had all kinds of scars around his head, especially on the top of his head. Clearly, this bird had seen some rough days. His wounds were all healed, so they were not recent, but the scars were going to be with him for life. New feathers did not grow through the scar tissue. One-Eyed Pie and I began to talk every day, and usually more than once a day. We were becoming friends, and he was becoming much more comfortable with me. The more I saw him, the more I could see how beautiful he was. Instead of snatching the food from me in a rushed hurry, he began to take his time, and nibble bits and pieces with comfort and ease. He still watched for the crows, but he was not stressing when I was near him. I also noticed something else. As One-Eyed Pie and I became friends, his behavior towards the other younger pies improved drastically. He knew that he was going to be treated with respect from me, and he stopped bullying the babies. He stopped being so aggressive towards the other little ones and no longer charged them. The little maggies were able to sit closer to him, and they were able to come closer to me while he was around. One-Eyed Pie was fitting in more with the group. Once he was seen for who he really was, and once his needs were more accurately met, One-Eyed Pie stopped acting like a bully. Amazing. And how exciting to see this transformation happen right before my eyes. One-Eyed Pie is a great magpie. He’s truly beautiful. Strong. Brave. And wonderful. He’s earned my respect, and he is a bird I will never forget. The parallels of this story for DID survivors are obvious and layered. First of all, I have never met a DID system that did not have at least one bully / aggressive part. Even if hidden deep inside, or kept in the background, or kept separate from outside interactions, these mean insiders are typically very active within the internal system. The bully-type insiders typically carry a lot of weight around the younger parts, typically intimidating them and bossing them around. Sometimes these bully parts actually hurt the others inside. And, in my experience, all bully parts within the DID system have had their own trauma history, even if they don’t want to admit that for the longest time. They will typically hide the fact that they have been hurt in the past, but once you gain their trust, you will be able to find out more about how they were hurt, when, where, etc. Once you are aware of them, the bully parts need to become your priority. They will need your time, your attention, your patience, and your understanding. These parts are extremely important in your system, and the more you work to get to know them, the better. They can fit nicely within your group, but you will have to work at that. The rewards of gaining the trust of your bully parts are enormous. Gaining their cooperation and friendship will bring a level of strength and peace into your system that you will not expect, or regret. Get to know your bullies. They are worth it. Yes, I suppose I am making a few assumptions. 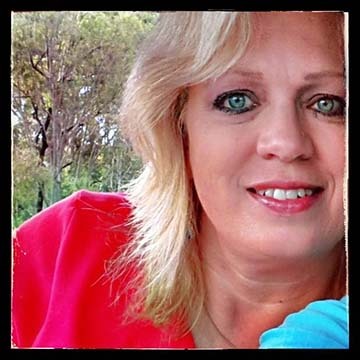 I call them educated guesses, or better yet… I’m just speaking from my own experiences of what I’ve seen / heard / found in talking to all the lots and lots of different people I’ve met who have inside systems and dissociative identity disorder (DID). All the bully types I’ve talked to before have had some kind of trauma or hurts or abuse happen to them, even when they really didn’t want to admit that… or even if they defined their abuse as something “ok”, or as something that just didn’t hurt (even if it did). But no matter what, I can’t tell you what has happened in your life. That is a story for you to tell… ‘Coz you were the one that was there, not me. And it really is ok to talk about what happened in your life… It’s your life, and it belongs to you. Just you. Thank you for posting. It’s good to see you reading here. Tough to swallow, that bullies can be different. But maybe worth looking into…. Maybe. Yeah…. it’s difficult, and working with your bully will be some of the hardest healing work that you’ll ever have to do. It’s really not easy, but so very very important. The bullies are typically connected to to perpetrator ways of thinking, so yeah… it’s tough work, but really essential. You can do it, J. You are one tough cookie. My bets are on you. It took me about 6 months to drain the anger out of my wife’s defender and about another year or so to help her stop running over the other girls to “protect” them. But now she’s a really delightful young lady. We are dating, though kind of platonicly, and she’s just awesome. I’m so proud of how much she has grown and matured. 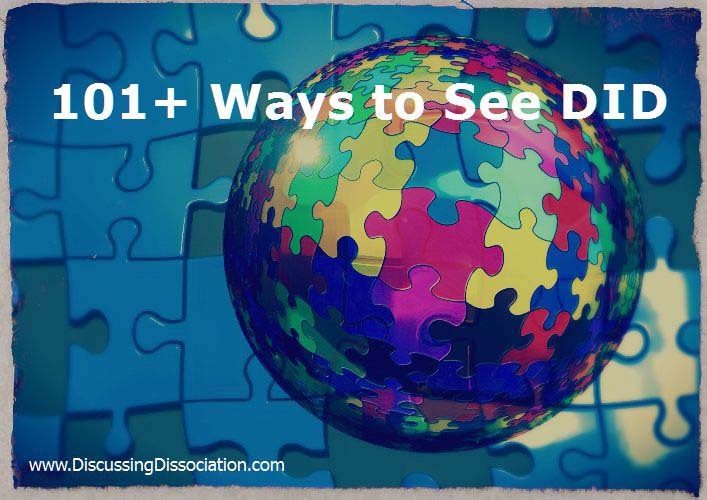 Thanks so much for coming back and posting in Discussing Dissociation. Your posts are encouraging, and it is really good to hear how much progress your wife and her system have been making. Keep up the good work — y’all make a good team together! The Bullies hold the power. It can be good & it can also be bad. ‘Somebody’ kinda has to watch over it all. I would change some things our bully has done if I could. Now I can also see how wounded our bully really was. I forgive him. And besides that – we just love to hear these stories. YaY This story made us have good dreams last night. 🙂 Happy dreams are so important cause we have been so so sad. Too much sads. Yes, the bullies typically do hold the power. They are often leaders in the system, and they have a lot of strength and energy. And yes, power – strength – energy – leadership can be used in either positive or negative ways. This is one of the reasons why it is so very important to work with the bully parts. They are very important parts of the whole system, and they are typically NOT neutral! They usually have a strong vote one way or the other. I typically have the mindset that the bullies were / are more protective than it may initially seem that they are. They aren’t going to go away, so finding a way to understand them, and to build a healthy relationship with them is essential. At some point, you might be able to have a positive impact on their lives…! Keep up the good work. I’m sorry life has been so sad for you lately. More of his usual stuff i see. And he cant spell, either. This is a great story. I am glad you shared it. *cries. my post got lost. I think I said that it was an interesting point and I hadn’t thought about it applying to out protector because as a teacher I was thinking of the kids in school. I do know our potector/bully/SIer has been harmed – likely the most of all of us. She is hard to get to know because she still has partial alliances with the head controller who censors everyone. We are gaining ground, but still there are so many challenges. Oh and I’d said that no therapists want to work with her either. WEll, none want to work with DID to begin with and won’t work with other parts. Kathy, I haven’t visited in months. I thought the site was abandoned. And then today I visited and found this story which is about something I am working on right now. So thanks! I am pursuing the idea of the Shadow Self (Jung) in an attempt to reconcile myself to the possibility that my shadow/bully/is actually a part of me and not an outside “other.” Though of course, as you commented, our bullies are often associated with the perpetrators way of thinking, our internalisation of the abusers messages. Thank you for your insights, as always. Welcome back! Yes, there was a big chunk of time I wasn’t able to write more articles, but there were so many readers still visiting the site, I decided I had to come back and write more as soon as I could. So… here we are now, this year already looking to being the busiest one ever. It’s amazing… And I’m grateful for people like you who do come back. Thank you. I think it’s really good that you can see thru’ the story level of this article and see how it applies to your inner system work. Working with the inside “dark” ones is absolutely essential in healing. Not easy work, but absolutely critical for your healing. It will be tough, but it will be worth it. Today, this post has been on my mind, primarily because it is one of my favorite life encounters with a wild bird. The months I spent with this bird created some wonderful memories that I will cherish forever. But also, today, I have a situation that gave me eyes like this bird. I can’t say any more about that at this point, or it will give the story away. I have related to him tho’, that’s for sure!! So for now, I hope you take the time to read about this incredible bird, and also to see how the moral of the story can be applied to healing work and Dissociative Identity Disorder. Can you relate to this bird??? Difficulties Alters / Parts in Dissociative Identity Disorder – will things get any better? This iidentify moving, beautiful story. I have a fear of magpies because I have been intimidated by mother magpies. They are unafraid to swoop in torpedo fashion over human heads if one goes too close to the tree where their nest is. Another time I was with my cat and they swooped over both of us, so I picked him up. 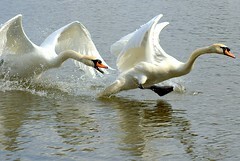 They dived so close that their wings hit my head. I was terrified. These were healthy magpies. I do not want any bullies. I do not want any introjects. Makes me feel like there is no place safe, you know? Can’t even be safe on the inside? ugh…. Take heart Wren. Listen to what Tracy has said here. Our most fearful insiders are usually there to help us. Maybe not in ways that we feel are helpful but … That is not to discount your fears. I have some insiders that I do not know well and sometimes they scare the heck out of me and my little ones. But, I have discovered that my most fear-invoking insider has my best interests in mind … maybe not in a way that is constructive or painless (by my estimation) but, when she spoke to me a couple of times I really got to know that she had some really great qualities. She does cause me trouble (as I interpret it) and thinks that I am a wimp, worthless, weak, etc. (this coming from therapy this week where she let loose on her feelings about me … something she does not do often with my T so I am taking that as a good sign … as painful and scary as that is). I realize she was created out of a need to understand what was happening to me as a child and find some way of mediating our way out of harms way. As strange as it sounds, she thinks that she is helping us. Just take a few deep breaths Wren and try and stay calm and relaxed. This roller coaster ride has many scary drops, turns and bumps that send your heart racing and take your breath away. But, the ride is worth it. Thank you for that encouragement, ME+WE. Oh, this is a rollercoaster for sure. I found some old journals that I kept from decades ago. There were references to what I now suspect were insiders. In one entry I wrote, “It’s painful to know that the one who owns the anger also owns so much hope.” I was 15 when I wrote that.